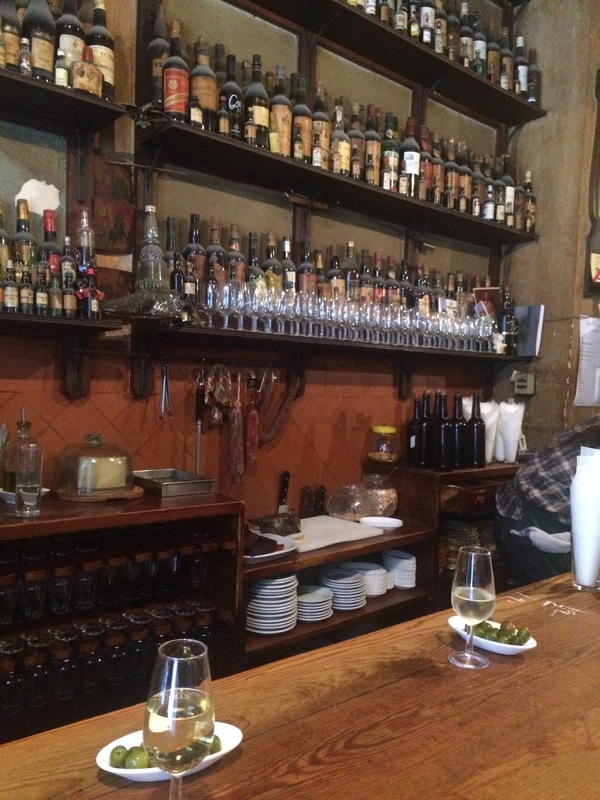 Late for lunch but always time for a quick sherry in La Venencia. This is an old school sherry bar in the heart of Madrid and one I cannot walk past (even from a couple of streets away). The name comes from the term for the process of extracting sherry from the barrel on a long glass shaped ladle, and all they serve is sherry – manzanilla, fino, amontillado, palo cortado and oloroso. All the sherries are from the barrel and all (bar the manzanilla) supplied by the artists at Emilio Hidalgo. It is as cheap and chips, you can have some almonds, olives or more interesting tapas with your sherry and it was pleasingly full of punters this lunchtime. It is a must visit – if you are in Madrid and don’t go here you probably don’t deserve to.